If you want to learn French, to speak it like a local and understand it fully, the best way to study is undoubtedly by immersion. It’s also great fun and when you’re able to fully immerse yourself in the culture and essence of France at the same time – it really does help make learning easier. 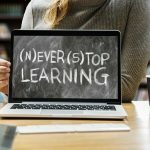 For most of us, learning from classes, books and online works well. 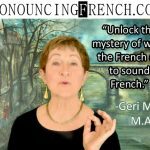 But for all us, to really appreciate and understand the nuances of real French, the best way is to learn is by experience. 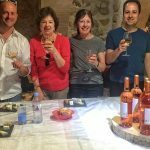 By getting to know and chat to the locals, enjoying the legendary French cuisine and wines and experiencing the traditions and customs of France – well, nothing beats a fabulous immersion tour to make learning so much more fun. Lapont French Immersion tours are hosted by Catherine Alapont, an acclaimed multi-linguist. She is a native French speaker and has a passion for the language as well as French culture. She’s a charming hostess and makes guests feel like friends with whom she shares her local knowledge and understanding of France. With this immersion course you’ll not only learn French, you’ll get the tour of a lifetime. You’ll meet in lovely Lyon in the south of France before being transported to your new home – a 17th century chateau where your French Immersion adventure takes place. Whatever your skills, whether you’re a complete beginner, want to practice speaking French or need to brush up on your grammar, you’ll find there’s a class that’s just right for you. The teachers are friendly, highly experienced and fully qualified. The tour groups are kept small so that there’s time for you to see and do what you want and really get to know France. Small class sizes mean the teacher has time for you, making sure your French comes on leaps and bounds. Your fellow guests are as passionate about France and as enthusiastic about learning as you. 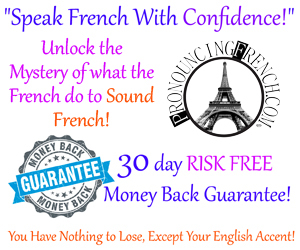 At the end of immersion course, your French will have improved and so will your knowledge of France because you won’t be staying in a classroom all day. You’ll be exploring the hidden gems of Burgundy, Franche-Comté and the Rhône-Alpes. 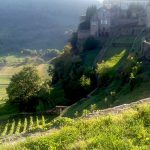 Included in the tour are visits to private châteaux, cheese farms, artisans’ markets and vineyards and a whole lot more. Your home during this time is in a real life fairy tale castle. The rooms are spacious and elegant, the in-house chef will prepare the most delicious dishes and the wine is superb. There’s a private park and bikes for guests to cycle to the nearby picturesque medieval villages. This is the perfect location to inspire you to learn in the mornings whilst loving your luxury French stay. The French course at the Chateau-Ecole is optional, daily a la carte cultural activities are available and accompanying partners are welcomed. The tour involves complete immersion in French in the chateau classrooms and on days out with local experts. You’ll get to enjoy gourmet cooking lessons and dine with local French guests who will practice the language with you. There are escorted trips to the best local sites including Catherine’s off the beaten track favourites that most visitors never discover. Chateaux, cheese, wine tasting, gourmet meals and Michelin star restaurants, walks in beautiful natural surroundings, exquisite street markets and a trip to lovely Vieux Lyon are all included and you’re guaranteed to feel like a VIP. For those who want to add a Paris stay on to this course, the tour can be extended. It’s a chance to carry on practicing your new language skills and see the very best of the city of light. The language of France reflects its long past, its love affair with gastronomy, its diverse landscape and its history. This immersion course enables you to really absorb all these intangible aspects and get to know France at its very best and most personal. 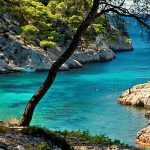 You will have a unique insight to fascinating France, the French people, the fabulous cuisine and delicious wines, the culture and history. 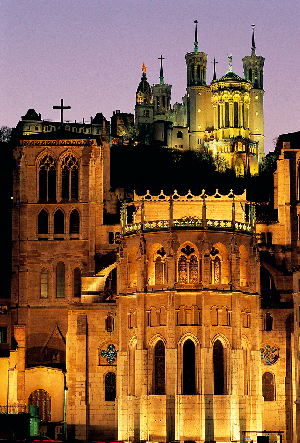 Register your interest for the 10 day May-June 2019 and September 2019 French Immersion Tours now at Lapont.com and start a love affair with France.